I don’t often actively pursue biographical information about the authors I read. It’s enough that I enjoy their stories, and enrich my life with their words. But there are exceptions. Anton Chekhov is one of them. I came to his writing relatively late in my life (post grad school) but he immediately captivated me, and it’s fascinating to discover how alike we are (though it certainly explains why I like him). I don’t want to sound too arrogant – I’m not saying that my life mirror’s Chekhov’s (God forbid) or that I possess the talent and insight he did (definitely not). What I mean is that how we see the world and its people is remarkably similar. The same thing occurred when I began reading Maugham bios – another case of dissimilar lives and talents but a beautifully congruent Weltanshauung (humble apologies, it’s not often I can use this word). Philip Callow’s biography of Chekhov is a very readable and balanced view of a very complex man. 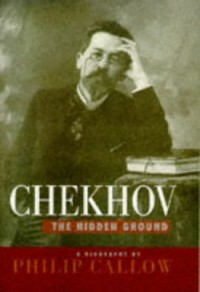 Like many of his stories, Chekhov was a portrait of ambiguity and contradiction. Unlike many of his contemporaries and earlier authors (Dostoyevsky, Turgenev, Gorky, etc. ), Chekhov was never a “political” writer. 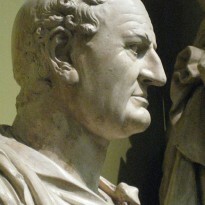 His guiding principle as an author was impartial observation. Many of his characters do awful things but they’re never judged. And, unlike Tolstoy (another contemporary), he never celebrated the supposed “nobility” of the peasant or the severe, simplistic Christianity that author espoused. One of the things I disliked about this book is that Callow (not a professional historian – he’s an author, though he had written several biographies) does not cite his sources. He has a terribly inadequate page discussing them but it’s difficult to distinguish within the text where he relies on primary sources and where he’s indulging in speculation (albeit eminently reasonable speculation). To sum up, this is a well written and interesting biography of a fascinating man, and I would recommend it with good conscience.